Arista Networks is likely to become a key player in a fast-growing field of software-defined and the larger area of networks through an acquisition that is at its advanced stage of execution. This is according to an analyst who gave a breakdown of the company recently. Private wide area networks, popularly referred to as WANs, are able to connect the headquarters of a company to its data centers and branch offices. Software-defined WANs are used while replacing specialized network hardware with software that can control the functions of networks. 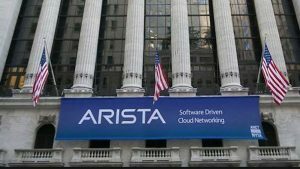 James Fish, an analyst at Piper Jaffray said that they highly suspect that in little time to come, Arista will have to tap into new market opportunities and target more branches. He added that is the company stands a chance of becoming a strategic player if it acquires one of the key private vendors like Versa Networks, Talari Networks, CloudGenix or Aryaka Networks. Arista, which is a major competitor of Cisco Systems, specializes in selling is engaged in selling routers and switches which help in speeding up communication among several computer servers which collectively make a data center. Last year, Cisco bought Viptela, a startup and a key player in the software-defined WAN sector. According to Fish, the top five vendors of software-defined WAN the market are VMware (VMW), Aryaka Networks, Silver Peak, Cisco and InfoVista. In late 2017, VMware acquired VeloCloud. WAN or software-defined is likely to take over most of the responsibilities and budget from the traditional WAN and is expected to hit $8 billion and a compound annual growth rate of 60% by 2021. Some of Arista’s current clients are Facebook, Amazon and Microsoft. The company was recently ranked No. in the IBD 50 roster of growth stocks. Arista went down 0.5% to 284 in Thursday’s trading session. The shares rose 115% from last year and have since retreated from a high of 308 which was recorded on February 15 after the company reported a less-than –expected revenue margin. The IBD, which specializes in computer networking, is ranked at position 13 out of the 197 companies in the industry. Arista holds the highest Composite Rating above all the members of the group. Cisco is ranked 4th in the group. Arista Networks was established to deliver software-driven cloud networking meant to drive large data storage and computing environments. The company boasts of award-winning platforms which include Ethernet speeds ranging from 10 to 100 gigabits per second.